Flowers House in Bletchley is a pioneering scheme between Grand Union Housing Group (GUHG) and Milton Keynes Council for local people living with dementia. The scheme, which is situated next to the historic Bletchley Park, was opened in October 2012 providing a unique home to 34 people and offering secure round the clock care. Aileen Evans, Chief Executive of Grand Union Housing Group, said: “Flowers House is a wonderful example of partnership working, not only between GUHG and Milton Keynes Council in completing this scheme, but with the team of staff working with the residents and their families and carers to provide care and support. Flowers House is named after Tommy Flowers, whose work led to the building of the famous code-breaking Colossus machine, a fundamental part of the top secret work carried out at Bletchley Park during World War II. Since his wife died in 2009, Sidney Kendall had lived alone in his bungalow in Bletchley, becoming increasingly unable to look after himself and more and more reliant on his family. His son, Mark, says: "Over a period of about two years, Dad’s memory got steadily worse. We'd have to visit or call him to remind him to take his tablets or to guide him around the house. Television programmes would confuse him. If he was watching a cooking programme he thought the people he was watching were in his own kitchen and he’d get very upset." Mark and his wife Lavinia visited Sid regularly and phoned him every day. Sid also attended a day centre at a local care home three times a week and had carers four times a day (less on the days he was at day care) but despite all this, it was still not enough to secure Sid’s wellbeing. 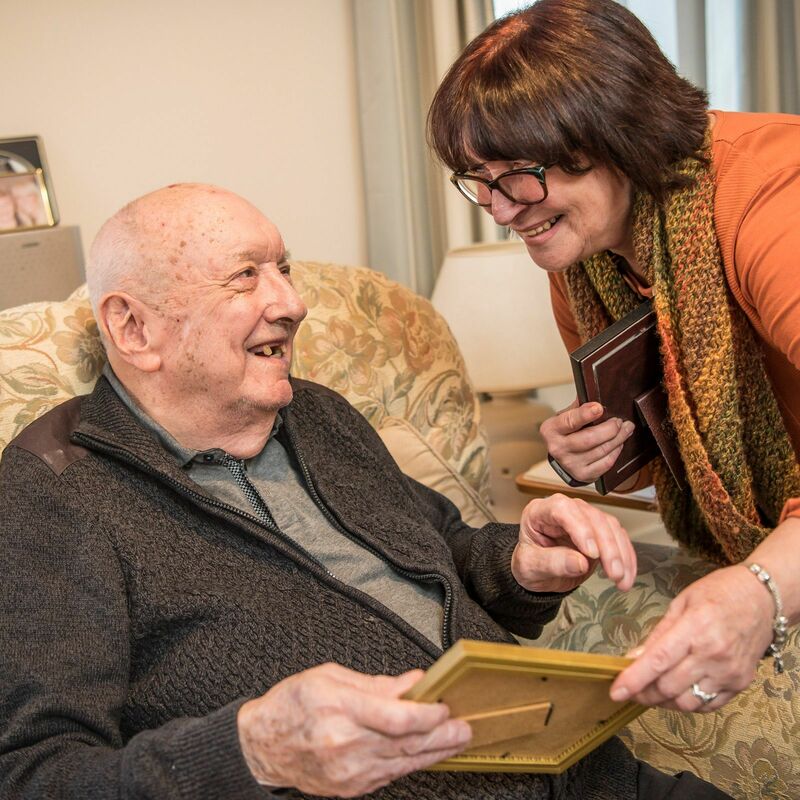 After liaising with Sid's social worker, Mark was delighted that in April 2016, a place was secured for him in Flowers House, GUHG's specialist dementia scheme in Bletchley. Lavinia adds: “Sid is happy here and we enjoy spending lots of quality time with him. He is no longer depressed or emotional. Flowers House provides lots of activities and most importantly lots of company for him. I help with activities and volunteer whenever I can. We get involved in different things that take place.